[Jean-Christophe Rona] found himself with some free time and decided to finish a project he started two years ago, reverse engineering cheap 433MHz home automation equipment. He hopes to control his space heaters remotely, in preparation for a cold and, now, robotic winter. In a previous life, he had reverse engineered the protocol these cheap wireless plugs, garage doors, and electric window shutters all use. This eventually resulted in a little library called rf-ctrl that can toggle and read GPIO pins in the correct way to control these objects. He has a few of the more popular protocols built into the library and even wrote a guide on how to do the reverse engineering yourself if you have need. Having successfully interfaced with the plugs to use with his space heaters, [Jean-Christophe] went about converting a cheap TP Link router into a command center for them. Since TP Link never expected anyone to hammer their square peg into a mismatched hole, it takes a careful hand at soldering and some enamel wire to break out the GPIO pins, but it’s well within the average skill set. The end result is a nicely contained blue box with a little antenna hanging out of it, and we hope, a warm abode for the coming winter. The Internet of Things has been presented as the future of consumer electronics for the better part of a decade now. Billions have been invested, despite no one actually knowing what the Internet of Things will do. Those billions need to go somewhere, and in the case of Texas Instruments, it’s gone straight into the next generation of microcontrollers with integrated sub-GHz radios. [M.daSilva]’s entry to the 2016 Hackaday Prize turns these small, cheap, radios into a portable communicator. This ‘modem for the 400 MHz band’ consists simply of an ATmega microcontroller, TI’s CC1101 sub-GHz transceiver, an OLED display, and a UHF power amplifier. 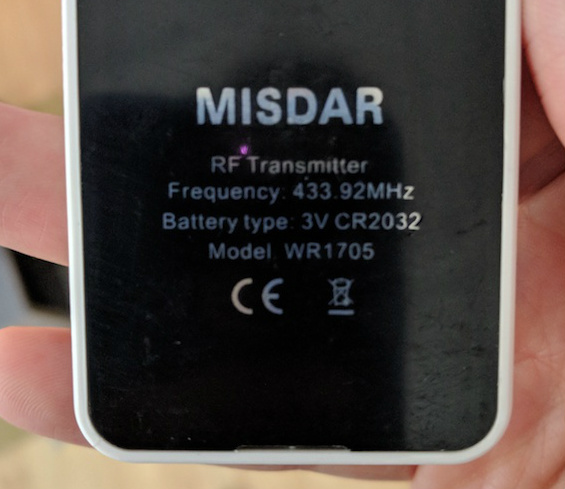 As far as radios radios go, this is as bare bones as it gets, but with the addition of a USB to serial chip and a small program this radio can send messages to anyone or anything in range. It’s a DIY pager with a couple chips and some firmware, and already the system works. [M.daSilva] has two use cases in mind for this device. The first is an amateur radio paging system, where a base station with a big power amp transmits messages to many small modules. The second use is a flexible mdoule that links PCs together, using Ham radio’s data modes. With so many possibilities, this is one of the best radio builds we’ve seen in this year’s Hackaday Prize.